Is a Holiday Review all its Cracked up To Be? Is there a Future for Holiday Reviews? We love our holidays and travels and so we spend a lot of time reading and writing about them, but we always struggle with the true value of a ‘Holiday Review’. In fact, in recent years the publishing and reading of reviews has become problematic for readers as well as website and blog owners. Are they genuine? In recent months even authors have been caught out writing their own book reviews on Amazon, so how can we trust that a positive holiday review is not written by a holiday operator or a negative review is not written by a competitor. 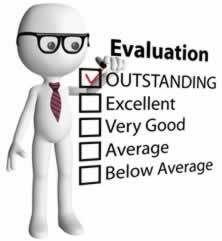 In our experience people own right Reviews when they have got a particular issue on their mind? This tends to mean you get reviews that are at the extreme ends of customer experiences (either really good or really bad) which can distort your view of the holiday. Differing expectations. When someone reviews a holiday it is against their perception of what they expected to get for the money they paid. Of course, we all have very different expectations of a holiday and so what one person may consider 5 Star luxury another might consider basic. If you are trying to incorporate meaningful reviews in a website or blog you are confronted with these issues as well. Are they legitimate grievances, complaints or compliments? How can you vet them effectively? How can you give ensure that they are reflective of the holiday experience? With numbers of people doing reviews being relatively low, and often those with an issue, how can you get a fair rating? And, increasingly, we are faced with the issue if I publish a negative review could I be sued by the holiday operator or owner for the comments made even if there is a disclaimer saying it does not represent our views… an issue even Trip Advisor is trying to come to terms with. So where does that leave Holiday Reviews? It’s safe to say that life is not all rosy in Holiday Review world. For me, reviews must now be treated with a certain skepticism but that doesn’t mean they are still not useful especially non-subjective comments such as when they provide ideas for things to do in an area. In terms of web publishing of reviews on our Find Cottage Holidays website we currently use holiday operator feedback where they have an established and ‘independent’ process for collecting reviews and encourage feedback from users via our Facebook pages. We publish comments good and bad as long as we feel they are honest and balanced in nature.